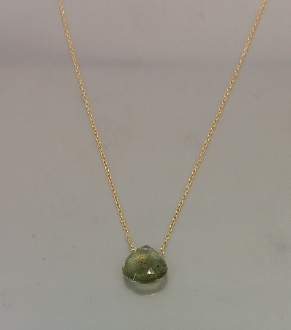 This beautiful green moss aquamarine necklace comes on an adjustable 16-18 inch, 14 karat yellow gold chain. Each green moss aquamarine is approximately 8-9mm. Due to the nature of the stone, color will vary.